I'm here with two cards that I shared on the TAWS-Blog today. Have you seen the new release? Those dino-images make me swoooooon - and I love love love coloring them! 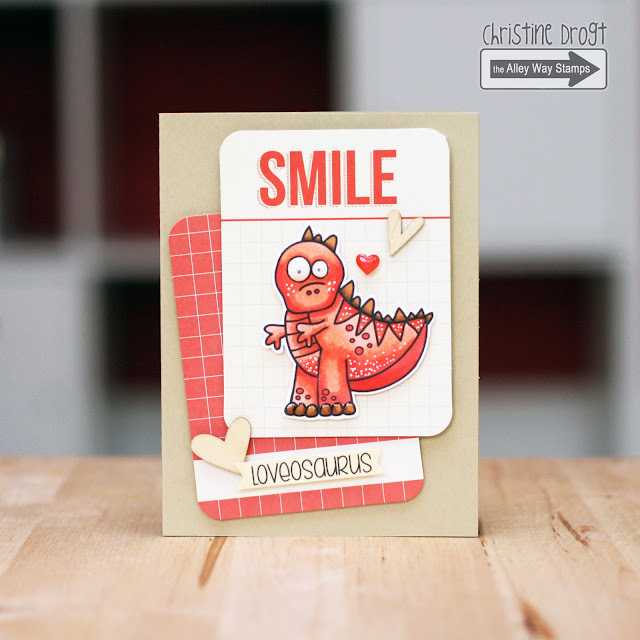 The first card was made with journaling cards and some embellishments to really make this guy stand out. The sentiment is from Livin' Fossils. For the second card I repeatedly stamped the Happy Birthday sentiment from the miniset Rock Solid and added the partytime sentiment from Prehistoric. I think this makes a perfect birthday card for a little boy (OR girl!). 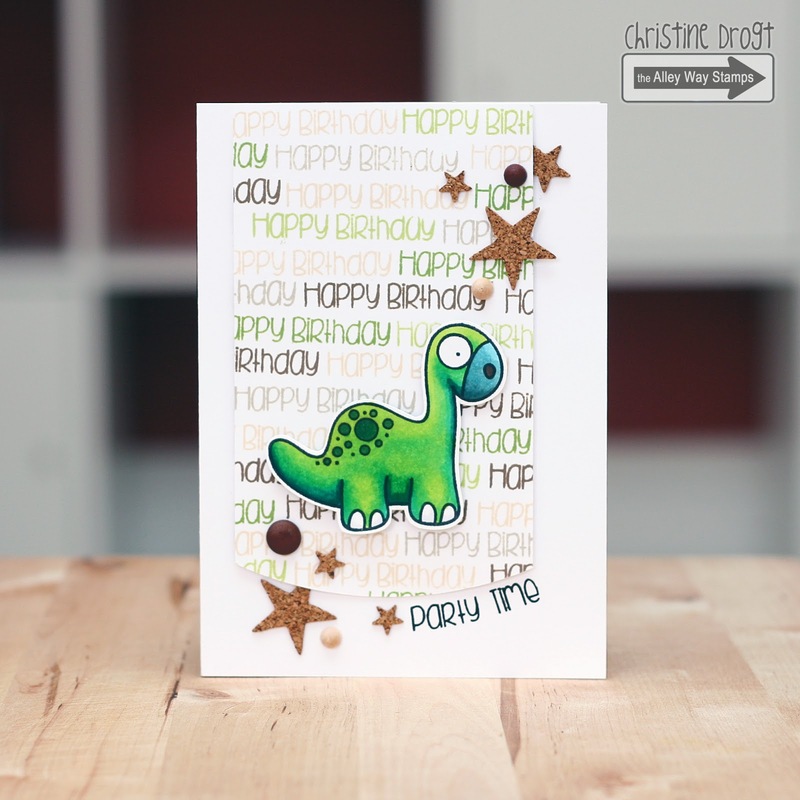 Cork and wood embellishments go so well with the dino-theme! Ach sind die süß - so colouriert gefallen sie mir viel besser. Und schön zu sehen, wie du die Project-Life-Karten auf Karten einsetzt, ich tu mich da noch etwas schwer.